It happens every time. The house feels waaaay too quiet. I hear the ticking of the clock. The hum of the washing machine oozes in from the laundry room. My heart feels full yet empty. I have just waved goodbye to the kids and grandkids. This time it was quite a blitz. 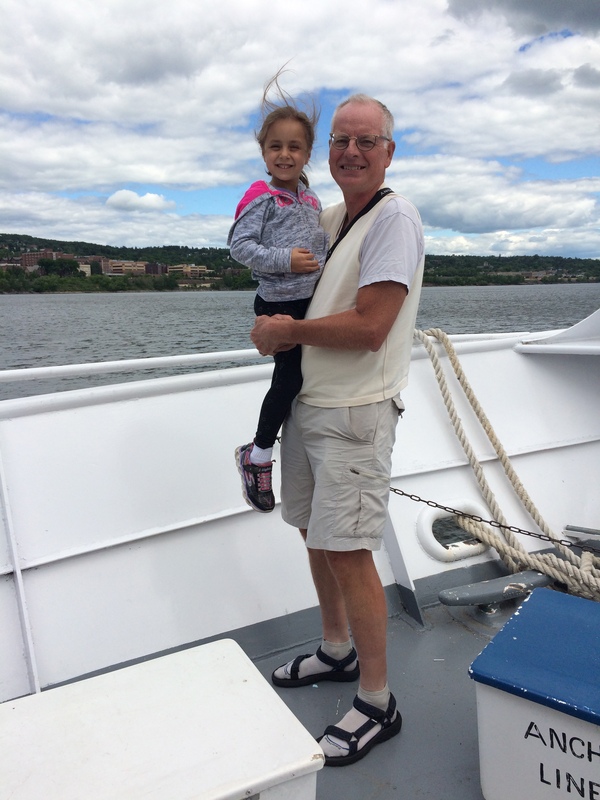 For starters, it was 5-year-old Mya’s turn for “Grammy Camp” and she spent four days with us in Duluth. There is something very special about having grandchildren here on their own. It invites getting to know them better. It means they get my complete attention, without competition from siblings or parents. It encourages doing fun activities together. Mya’s visit was no exception. Some things we repeated from big brother Ben’s visit. A trip around the harbor on the Vista Star was a highlight, and Mya was especially taken with the whole cruise aspect. “When will we go faster?” was her favorite question. Mya’s social side came out, and she quickly made friends wherever we went Arriving in the driveway, she immediately asked to go play with the girls next door. A trip to the playground quickly morphed into a game of hide and seek. 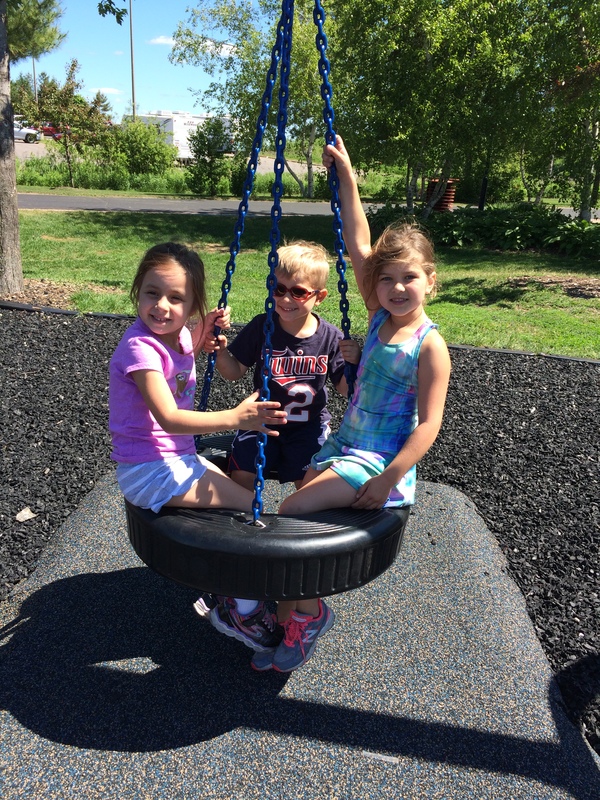 And a play date with my friend and her grandkids at Playfront Park was a big hit. My favorite times were snuggling up to read, Mya pressed into my side eager to hear the same books night after night. Kids all grow out of that stage eventually, but I never do. 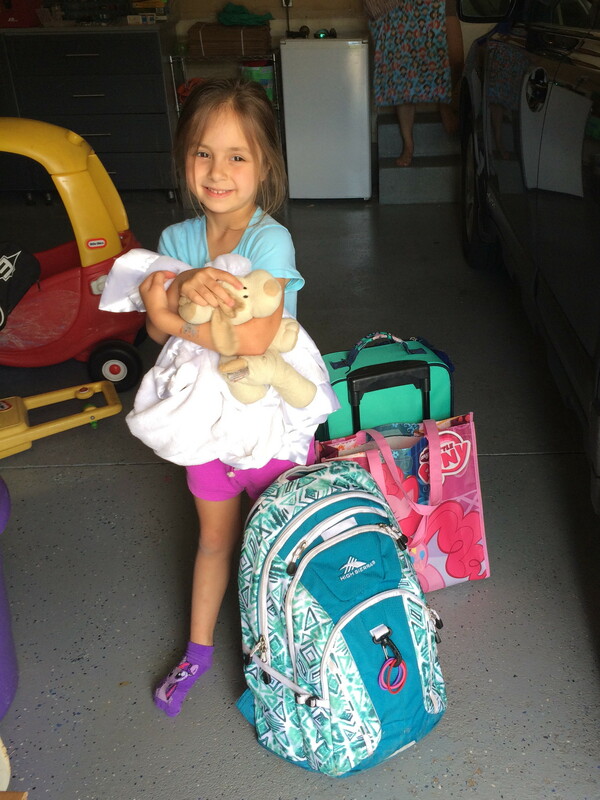 Mya was joined by the rest of her family for an overnight stay at the end of the week. The noise level increased more than three-fold with the addition of her two siblings, and the inevitable rivalries quickly resumed. We packed in as much time outdoors as we could and even managed to see the steam train before they headed off to the cabin. 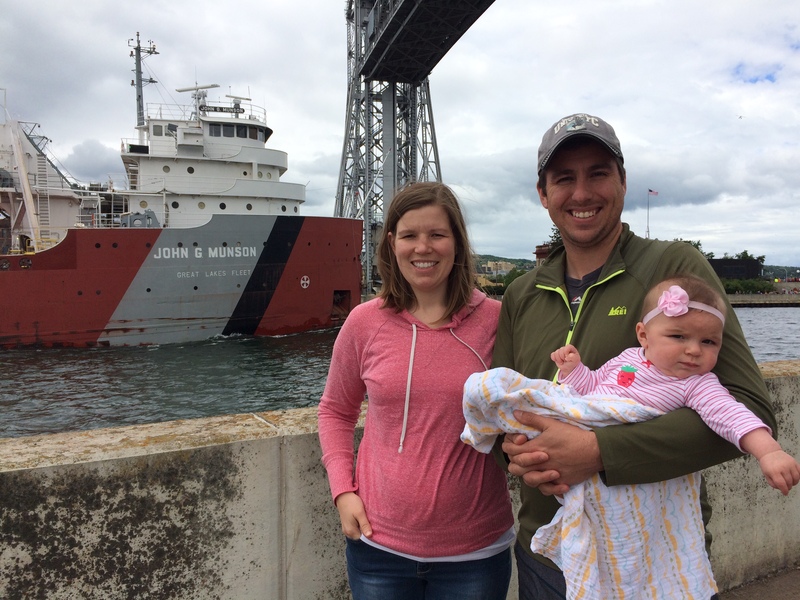 It was a quick changeover, then we welcomed Carl and Chelsea with baby Maren for the weekend. In comparison to three active youngsters, Maren’s happy chirping and babbling were mere background sounds. 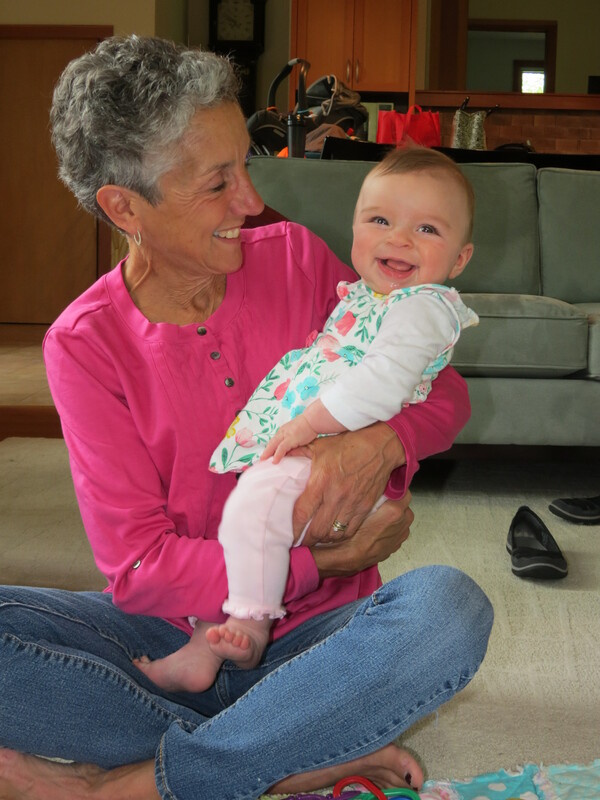 We easily slipped into the schedule of a 5-month-old which naturally afforded plenty of downtime – welcomed by her parents and this Grammy after my recent camp gig. Playing with Maren on her quilt was plenty of entertainment. Still very portable, we took Maren on several hikes and to the Park Point Art Fair. As we crossed the Aerial Bridge, bells began clanging, the gate went down and we discovered we were the second to last car to get across. Quickly ditching the car, we scurried to the canal to watch a classic ore boat come through the bridge – a first for not only Maren but Chelsea as well! There is no Duluth experience better than being up close to a passing ore boat. By now, these are all memories. The house is our own again. It’s a grandparent’s prerogative to enjoy the young ones, spoil them, love them to bits then send them home with their parents. But the echoes of laughter, squabbles, babble and imaginative play still linger in these rooms, leaving this house much too quiet. This entry was posted in Family Footprints and tagged Family, Grandchildren by Molly. Bookmark the permalink.